Viscount Thurso is the Guild’s 3rd Chancellor, including Roy Ackerman CBE and founder Lord Montagu of Beaulieu. Lord Thurso has a long and successful relationship with the wine and hospitality industries and has managed a number of successful hotels including The Lancaster in Paris, Cliveden House and Champneys. He is Chairman of the International Wine & Spirit Competition and has been the President and Patron of the Academy of Food and Wine Service. Lord Thurso had a distinguished career in politics, serving as the Liberal Democrat MP for Caithness, Sutherland & Easter Ross until 2015 and was a Commissioner of the House of Commons and appointed to the Privy Council. Having lost his seat in 2015 Lord Thurso returned to the House of Lords and now also holds the position of Chairman of VisitScotland. Mike Hildesley took early retirement in 1998, following a successful 28 year career in the City with Morgan Grenfell / Deutsche Bank. This has allowed him to focus on his interests in wine appreciation and education, music and the performing arts, and conservation as well as sufficient improvement in his skiing technique to ski remote locations. His wine cellar reflects his interest in wines from all over the world, rediscovering unfashionable wines and seeking out value. He helped create the Guild’s charitable trust and has worked with Maggie McNie MW and others to develop the Guild’s mentoring and educational activities, as well as organising many events. 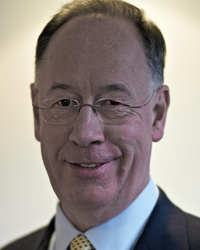 He is chairman of Trinity College London, the examination board for English and the Performing Arts, having previously been Deputy Chairman of Trinity Laban, the conservatoire for music and dance, and Chairman of The Blackheath Halls. His interest in conservation is pursued through his chairmanship of the Friends of Barnes Common, which he has helped develop from a consultative friends group into a fully operational management company for this historic 50ha site. 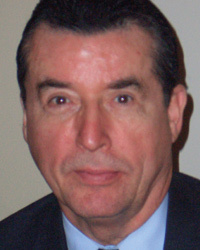 Paul Breach has over 40 years’ experience in a wide range of activities in the hospitality industry. He held senior roles in Seagram, an international wines and spirits company, Managing Director Seagram UK, President of Seagram Europe and Africa and Chairman of Oddbins, the specialist wine retailer. He was Deputy Chairman of the Restaurant Partnership PLC which owned a range of restaurants both in UK and Europe. For 8 years until 2016 he was been the Vice Chair of the Academy of Food & Wine Service. Paul is an alumnus of the Graduate School of Business Stanford University California, Executive Programme and is a Fellow of the Chartered Institute of Marketing and a Fellow of the Institute of Hospitality. In 2008 he was awarded the OBE in the Queens New Year’s Honours for his contribution to the hospitality industry. Nick Scade is a specialist in Hotels, Restaurants and general Food & Beverage operations. A graduate of Westminster Hotel School, he started his career in hotel operations before specialising in Food & Beverage and was for many years Catering Director of the UK's leading Casino Group, London Clubs International. He was also Managing Director of the internationally renowned Michelin starred Boulestin Restaurant in Covent Garden and Chief Executive and Managing Director of The Restaurant Partnership Plc. He owned his own successful Restaurant, The New Mill, in the Thames Valley from 1985 to 2006. He is a past Chairman and President of the UK Restaurant Association and the Academy of Food & Wine Service and is a Fellow of the Institute of Hospitality. He was awarded an MBE in the Queen’s Birthday Honours 1999 for Services to Education and Training in the Hospitality Industry. 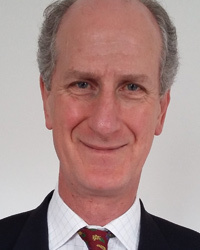 Nick is a Liveryman of the Worshipful Company of Distillers and currently Honorary Treasurer of The Wine Guild of the United Kingdom, Honorary Vice President of the Sommeliers Guild of The United Kingdom and a Trustee of the Lord Forte Foundation. Kathleen Burk was born in California, the daughter of a grape farmer, and has thus picked grapes, tied vines, and driven tractor. Educated at Berkeley and Oxford, where she was also the Rhodes Research Fellow for North America and the Caribbean, she is now Professor Emerita of Modern and Contemporary History at University College London. She has been a Visiting Fellow at All Souls College, Oxford and a Visiting Professor in Korea, Norway and Germany. She has published eleven books, one of which is on wine (with Michael Bywater), and is entitled ‘Is This Bottle Corked? The Secret Life of Wine’ (2008). She has the Diploma from the Wine and Spirits Educational Trust, the wine trade’s qualification just below that of Master of Wine. She is responsible for the German, Virginian and Austrian sections of the guide ‘Wine Behind the Label’, and writes for other wine publications, in particular for the international periodical ‘The World of Fine Wine’. She is the Membership Secretary of the Circle of Wine Writers. For some years she has been a judge for the International Wine and Spirits Competition. 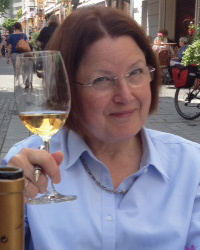 One of her duties as an academic was to provide students with what the government called ‘transferrable skills’; her contribution was to run courses on advanced wine tasting for UCL students.